Fabric designs sample prints allow you to see the amazing reproduction quality of your own graphics on 100+ fabrics. Each fabric produces a different print, and you also get to feel the texture to ensure it's exactly the right fabric for your project. 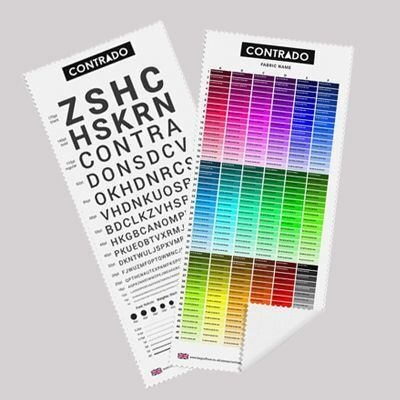 Choose from a range of sizes and our wide range of textiles for your printed samples. 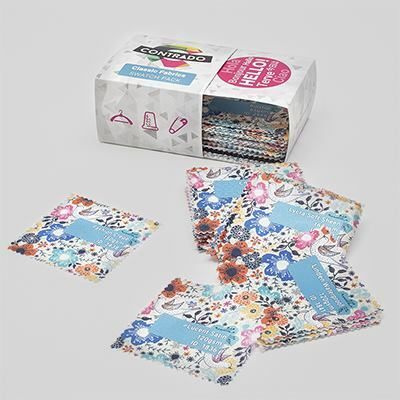 Order your Test Prints with us and get a £10 gift voucher to use on your next fabric order. Amazing quality and quick delivery will be ordering again soon. Speedy service and good quality so am a happy customer. Will definitely use again. Remnants: We would rather give them to you to use than throw them out. 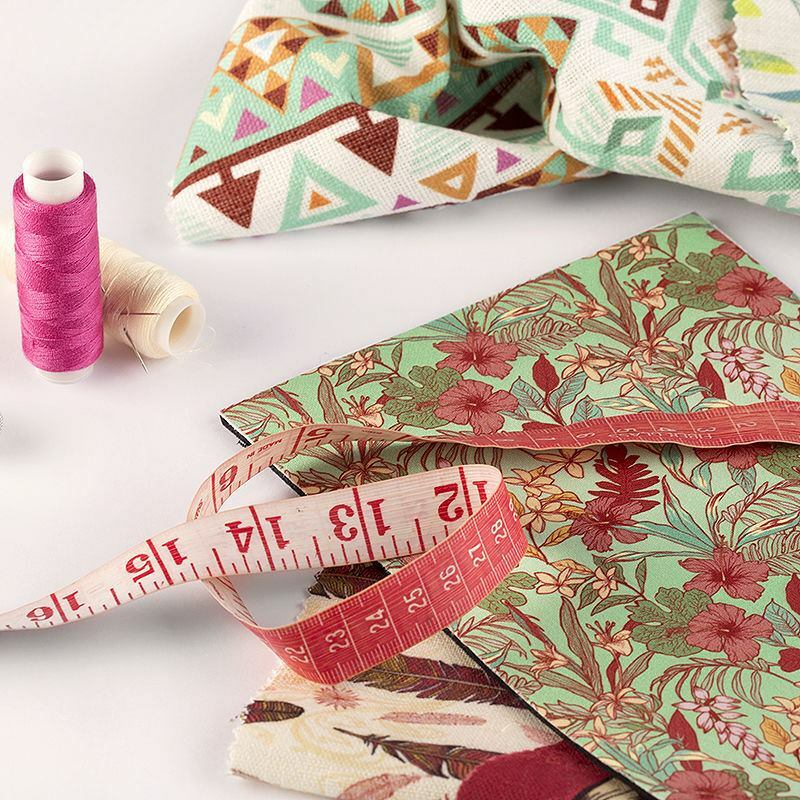 If you order and collect your samples, you are welcome to ask for fabric remnants. We can give you a 2kg-5kg bag for free if you can make use of them. Just ask. For your printed fabric samples you choose which fabric you want to see your original design printed on to, and we expertly print it onto an A5, A4, A3, A2 or A1 piece. For poly fabrics, we use specialist dye sublimation printing, which fuses the ink deep into the fibres of the material. For all 100% natural fabrics, we use pigment printing. 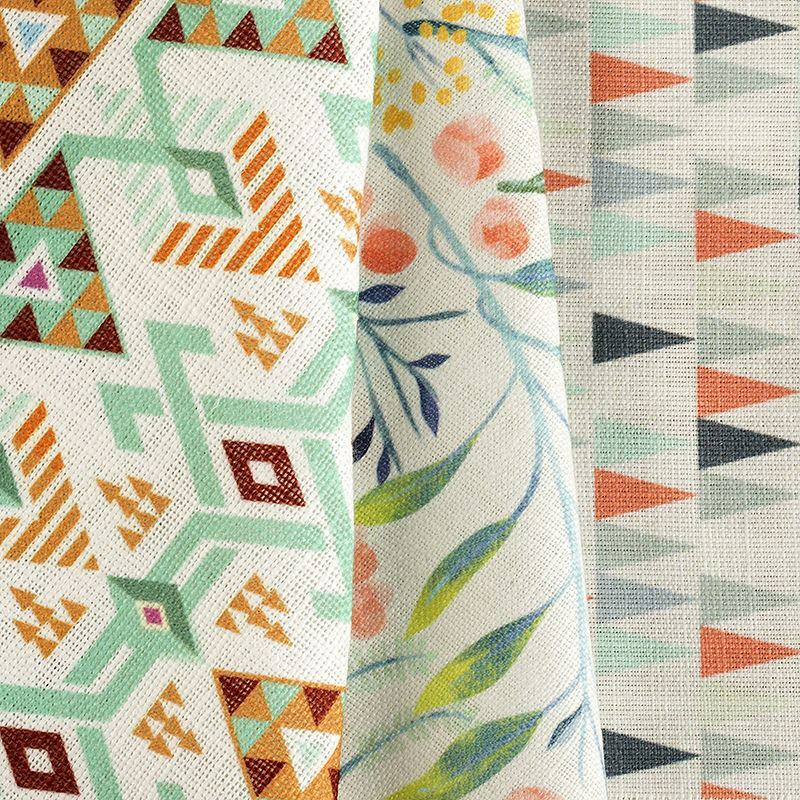 The print on natural fabrics is beautiful, as they retain their base tone and have a soft, more muted colour reproduction due to the natural fibres. This results in a charming, authentic print. Dye sublimation printing on poly fabrics produces vibrant, bold and sharp colours, however, each fabric will look different based on the tightness of the weave and the yarns used. This is why digital printing samples are so good, as you get to feel the fabric and see the print quality. Your fabric sample is sent "As it is" which means that when your sample is printed we will loosely cut around the edges. Therefore the print that you will receive will be the entire fabric piece with your print on it and a potential small border of the plain fabric around the edges. When uploading an image into our A size sample preview, your image will be resized to fit the dimensions you have selected. If you upload a very large file, it will be reduced to the size of the sample ordered. If you require a crop at actual size, we recommend you size your file before uploading to ensure the dimensions are not changed. As these sample prints are generally small, we do not recommend uploading files larger than 5mb.